Let me get right to the point: I strongly advise against using q-tips! Well, what you can find in a “clean” ear is cotton fibers and impacted wax. Earwax, or cerumen, is a protective substance and is important to the health of your ears. It maintains a proper pH balance that makes the ear canal unattractive to bacteria and bugs! Our bodies naturally produce just the right amount of wax through oil (sebaceous) producing glands along the outer portion of the ear canal. Imagine the outer third of the canal as the part you can reach by placing your pinky finger in your ear; you feel the soft cartilage and the fleshy, oily and waxy skin. The deeper portion of the ear canal, closer to the ear drum, has very thin and sensitive skin that covers bone, and if left undisturbed, is free of wax. The skin in this area can easily bleed and become susceptible to infection. I cringe when I hear about people using hair clips or paper clips to scratch inside their ears! The skin of the ear canal has a self-cleaning mechanism that routes and flushes out dead skin cells, debris, and yes- earwax, naturally. When you use a Q-tip, you push the wax from where it belongs into the back portion, often creating an impaction (heavy buildup). Even if you see wax removed by the q-tip, more of it is being pushed in that you aren’t seeing. The wax is pushed beyond the area of the self-cleaning mechanism and essentially gets stuck there. And since it’s behind the reach of the oil-producing glands, it gets harder and harder, darker in color, and more difficult to remove. Some people are prone to overproduction due to their natural hormonal or dermatological makeup, or they may have very narrow ear canals, and require routine removal, referred to as “cerumen management”. Heading aid users are also prone to a buildup of wax since the use of the device inhibits the natural self-cleaning process. Not only does wax clog the hearing aid and requires frequent cleaning or changing of wax traps/guards, hearing aid users often require routine cerumen management of their ears as well. HOW TO CARE FOR WAXY EARS? Do NOT use q-tips. They simply push the wax further into the ear, can introduce foreign bacteria to the ear canal, and can even cause a perforated eardrum- ouch! 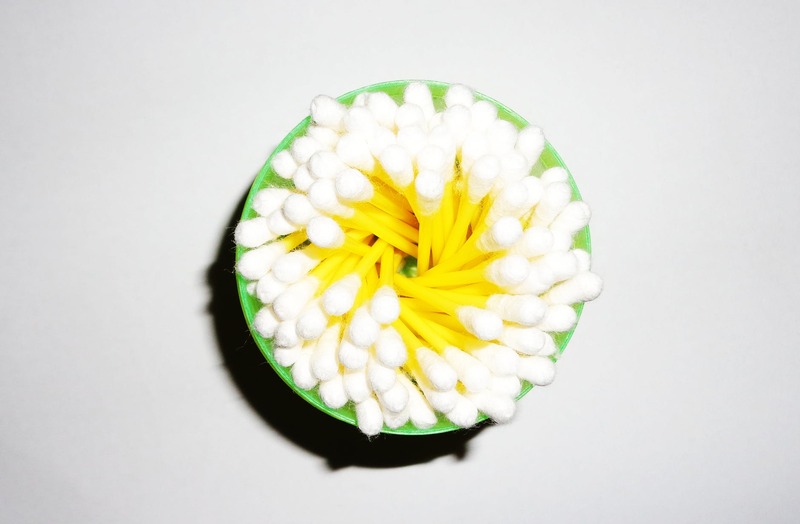 If you have been using q-tips regularly, commit to giving yourself a week to reregulate. You may experience itching and feel compelled to use a qtip, but by overcoming this urge for a few days, the natural balance will resume and you should no longer experience this discomfort. See a competent and compassionate medical professional who is trained in proper cerumen management. There are various methods that can be used including vacuum suction, flushing with water, or scooping and gentle scraping with specified tools. Regardless of the method used, I recommend using mineral oil or olive oil to soften the wax and make the removal more comfortable and seamless. Hydrogen peroxide works as well but some people are bothered by hearing the bubbling in their ear. There are also over-the-counter wax softeners, such as Debrox, that can be used. Use only a tissue or washcloth wrapped around your index finger to wipe around the opening of the ear canal and do not attempt to clean any deeper than that. You can do this after a shower or bath. Don’t even get me started on the process of “ear candling.” Not only is it a bad idea to place a smoking, fire hazard anywhere near your face, it doesn’t work! Any “earwax” that appears to be removed is actually present in the “candle” and will appear whether you burn it down in an ear or not. Be careful and be cautious of claims! Take care of your ears and please don’t push the very natural and important wax where it shouldn’t be. Have you had your wax removed? How was it done and how did you feel? Next “My baby did not pass the NEWBORN HEARING SCREENING!” Now What?! ?